Oleaginous microorganisms are receiving significant attention worldwide for their utility in biodiesel production and the potentiality to produce some specialty-type lipids. There is an increasing interest in isolation/adaption of robust microbe strains and design of innovative fermentation processes to make microbial lipid production a more efficient and economically feasible bio-process. Currently, the genus Rhodosporidium has been considered an important candidate, for the reason that several strains belonging to this genus have shown excellent capabilities of lipid accumulation, broad adaptabilities to various substrates, and co-production of some carotenoids. 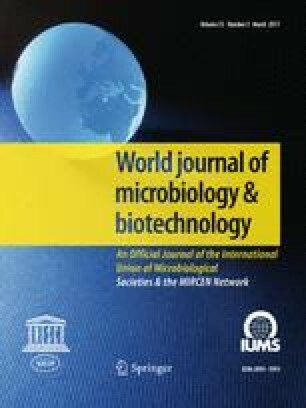 This paper reviews the current trends in the exploitation of Rhodosporidium species for microbial lipid production, including the utilization of various (single or mixed, pure or waste-derived) substrates, progress of genetic modification and metabolic engineering, innovations in fermentation mode, lipid characterizations and their potential applications. Finally, the constraints and perspectives of cultivating Rhodosporidium species for lipid production are also discussed. The authors express their gratitude to the support from China Scholarship Council and Zhejiang Provincial Education Department Support Program (Y201533267).